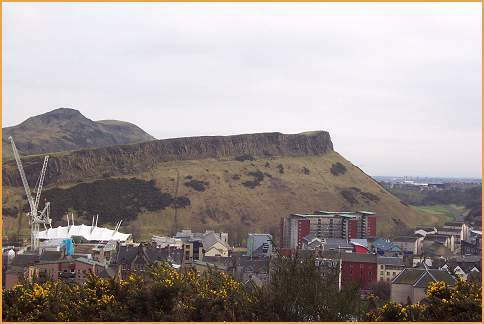 The Salisbury crags are a prominent geological feature in Edinburgh. A pathway called the Radical Road is directly beneath the crags, and is quite steep in parts. But I did climb up the Road and was afforded some beautiful photo-ops. Another feature, Arthur's Seat, is in the background on the left. I wanted to climb up that, but did not have the time. 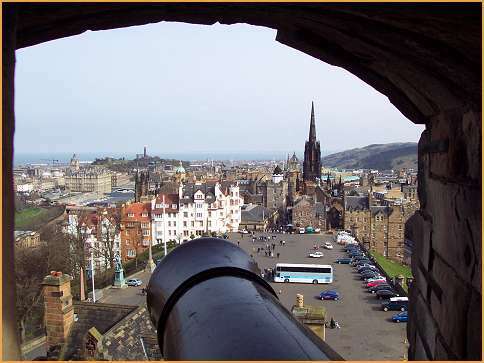 A view from a cannon turret in Edinburgh Castle, overlooking the city. 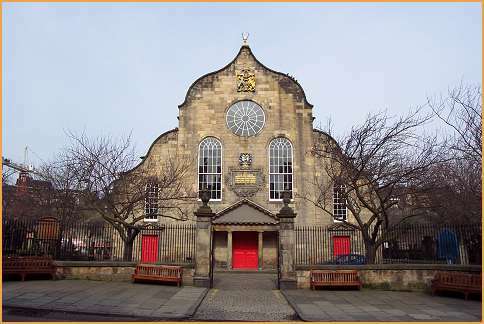 Canongate Kirk, off the Royal Mile. 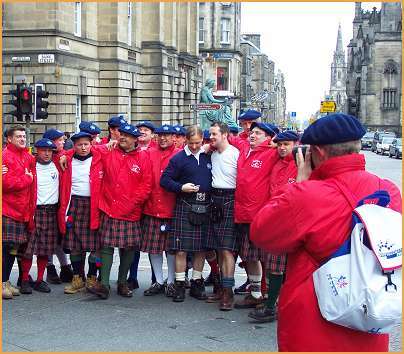 Some laddies having an impromptu singalong on a streetcorner. 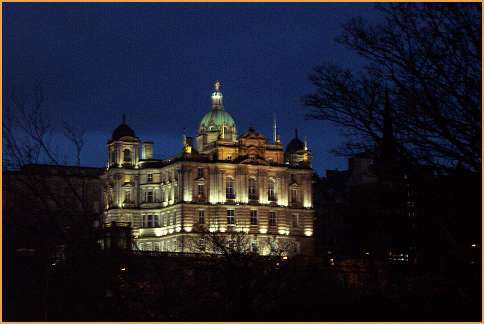 Edinburgh City Chambers building, at night. 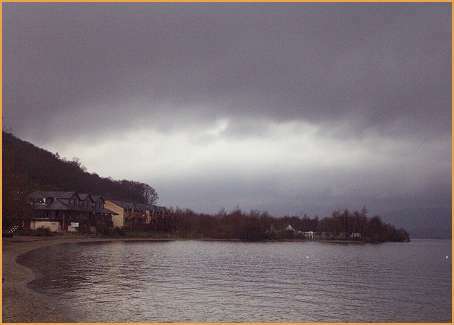 Another shot of somber, brooding Loch Lomond.